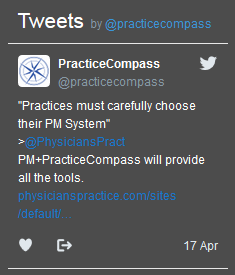 Practice Compass delivers improves productivity, streamlines workflow and increases revenue for your practice. Our software platform is specifically designed to address the particular challenges of everyday medical practice so that you can increase patient care, and patient satisfaction. Practice Compass specializes in re-tooling medical practices to become high energy, revenue generating businesses. Re-engineer workflow for each team member to ensure compliance. Your team increases productivity, quality interactions with every patient, and converts more calls to scheduled appointments.